Flightcase hardware and professional audio equipment wholesaler Adam Hall Ltd. are pleased to announce that David Finlay has been appointed General Manager UK with effect from February 1, 2014. His responsibilities will include the expansion and development of the UK Sales team, planning for and executing initiatives to create greater market penetration of Adam Hall's core brands, LD Systems, Cameo Light and Palmer Germany. The Flight Case Hardware and accessories market will be given greater focus in order to strengthen our support and service to our customers. "I am delighted to be given such a wonderful opportunity. It is a dream come true to be involved with such a forward thinking company," comments David on his new position with the Southend-on-Sea based company. "Adam Hall have been providing solutions to the industry for decades, with superb products and service and are committed to sustained growth and support in both areas." David studied and worked in Electronics Engineering with the Royal Air Force for 9 years and went on to manage a Distribution centre with some 300 personnel with Dixons Stores Group, the UK's largest electrical retailer. It was during this period that David was offered the opportunity to enter an industry he had been passionate about since joining his first Rock Band at the age of 15. Over the last 24 years David Finlay has enjoyed success with some of the world's greatest brands namely Zildjian, Celestion, Casio, Electrovoice and Dynacord and dB Technologies. "I have had the good fortune to work with some of the biggest and best global brands as well as being trained in Distribution Management and Electronics Engineering. 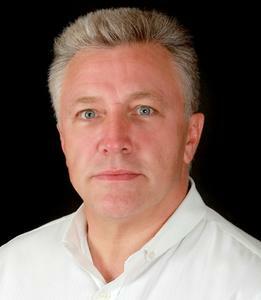 Adding this into an already potent mix will be exciting to say the least," David says about his previous experience in the industry and the prospects of being Managing Director for Adam Hall Ltd. "Adam Hall UK have a fantastic core of people already working hard and with total dedication to deliver a superb service. My role is to build on that team and prepare to meet the constantly shifting demands of a very competitive market." "We are very pleased to have been able to recruit David Finlay, with his natural drive and enthusiasm and his wealth of experience and connections, to lead our UK team on to greater things" says Group Executive Chairman, David Kirby. Adam Hall GmbH, with headquarters in the Hessian Neu-Anspach (Germany), is a global player in the Pro Audio and events industry. This business specialises in the production, wholesale and distribution of fittings for the manufacture of flight cases and other transportation solutions. 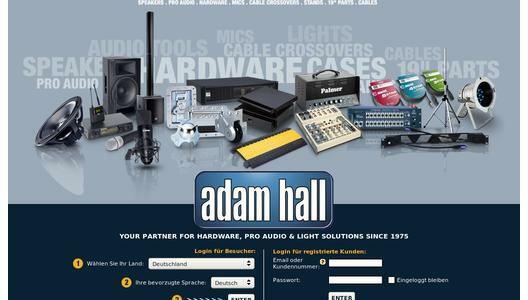 In addition, Adam Hall produces and markets a wide range of professional audio products such as speaker systems, microphones, mixing boards, amplifiers, and peripherals for stage, installations, studio, radio and television. Other focal points of the range include accessories such as cables, stands, stage platforms, trusses, and much more. Our Defender cable crossovers are the industry standard for cable protection in the event sector and for industrial applications. 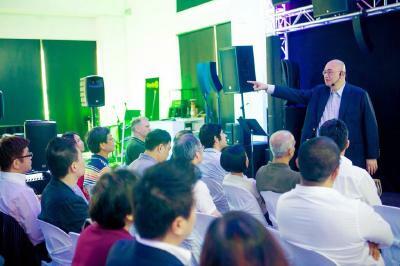 With Cameo Light, Adam Hall also offers professional LED lighting equipment.